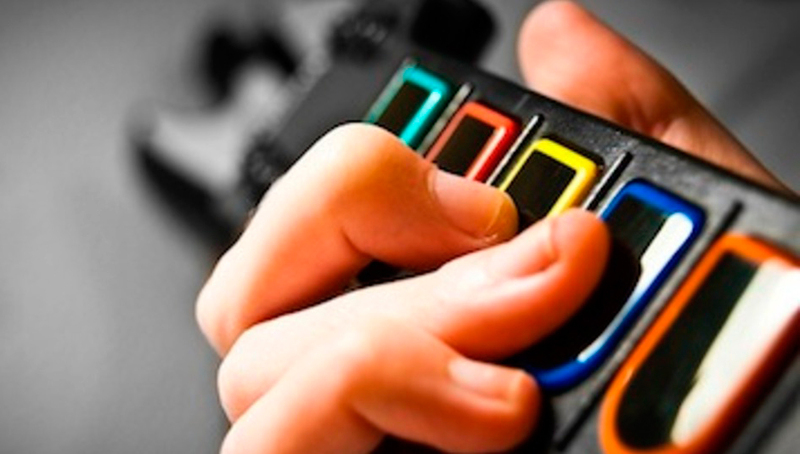 Are music video games an alternative to learning an instrument? 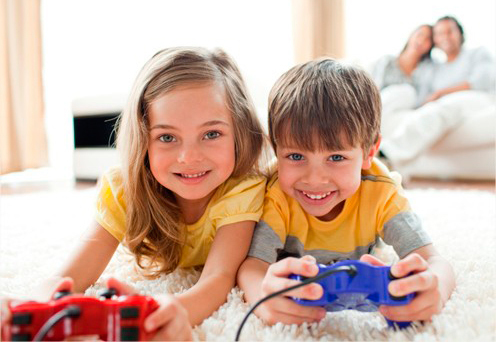 Discover how children can learn music through video games and all the benefits hidden in a game console. Music provides our brain with many benefits such as concentration, attention and memory. That is why, having an early music education is important for kids and essential in order to fulfill a complete and rich intellectual development. Learning music or how to play an instrument shows discipline to children at a young age because of the continuity and practice required. It is also a great challenge to overcome and a commitment to make that helps developing healthy learning habits. But in an age where electronics are a staple of every kid’s entourage, teaching the art of Mozart or Beethoven in a classic and theoretical way might be boring and uninteresting to the kids. This young generation has constantly an electronic device in their hands, so why not introducing everything they can learn from Mozart and Beethoven into their phones, tablets, computers and game consoles to get their attention? The study titled Possible benefits of playing music video games and leaded by Psychology Professor Amanda Pasinski, investigates how music video games might be constructive. According to this study of the University of Nevada (UNLV) “for most people, developing musicianship to an expert level is a long and difficult process that can take up to 10 years or over 7,500 hours to complete, but it is ultimately correlated with a variety of benefits—from greater motor coordination and better synchronization skills, to better pitch and tempo discrimination”. It has been proved that training on an instrument might provide and improve associated skills when compared to non-musicians, because studying music increases concentration and focus and has a great influence in the cognitive development. And this skills are not necessarily improved just by playing instruments, according to Pasinski music video games have the same influence: “we found that scores on the Profile of Music Perception Skills, a test of basic musical listening abilities, were equivalently high for formally trained musicians and music video game players, who both scored higher than non-musicians”. Music video games could mean a cheaper alternative to music education without, of course, settling as the replacement of a music career for those who want to be professional musicians. They might also establish themselves as an alternate way to enjoy the benefits of music education for those who lack of time, money or perseverance to learn a musical instrument. “Music video gamers may get discouraged by the steep learning curve of musicianship, and music video games may provide access to musical experience without the rigidity of music lessons”, explains Pasinski. The world of music video games offers a long list of options in many different platforms; from SingStar (Sony), to Guitar Hero (Harmonix) or Rock Band (Harmonix). “If virtual music game skills relate to real world performance, a game that may result in overlap with the skills seen in real musicianship is Rock Band”, says Pasinski who used this game in her study. The Professor got to the conclusion that “there does appear to be overlap between Rock Band skills and musical perception skills”. The results of the study suggested that “if video game musicianship promotes comparable skills found in trained musicians, music video games may be a useful teaching tool for schools”. Added to that, the fact that children are generally attracted to video games might be positive to encourage them through a music game to eventually transfer to a real instrument. 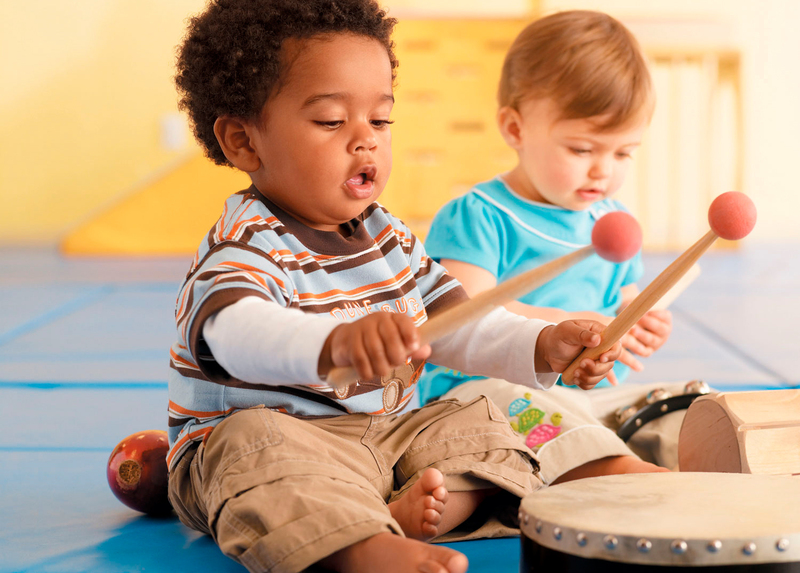 This way the kid will be equipped with the basic motor and auditory skills needed to play. José Manuel Azorín, Professor of Education at the Albacete University in Spain, explained how some specific music games could be applied at school. In his study The music video games. A resource for music education in Elementary School?, he gave some examples of benefits that can be found in this type of games. According to him, the game Beatmania (Konami) brings great possibilities to the development of the eye and hand coordination, the sense of audition and the consciousness of rhythm. SingStar is a great option to work the vocal abilities and Guitar Hero, which introduces musical instruments to children, helps improving the coordination and rhythm since you need to push the right button at the right moment according to the music. Azorín and Pasinski agree on the benefits of Rock Band. The Spanish Education expert thinks that this video game can ease the learning of the combination of instruments and rythms and the instrumental technique of the piano and the guitar. As well as Pasinski, he doesn’t think it can replace real instruments but it “makes the education and motivation towards the instrumental practice possible”. As a matter of fact, there are games that use actual instruments to play; it is the case of Rocksmith which connects real electric guitars to the game console or computer. “The progress is significant in relation to other music video games as we will be learning how to play a real guitar thanks to a video game”, says Azorín. Including this kind of games in the classrooms and using them as educational methods can be a serious option; “we need to use the attractiveness of video games and apply it in an educational perspective. If we manage to captivate the students with a game like Rocksmith where real instruments are used, we will be training students, musicians, men and women with capability of analysis and musical enjoyment”, he concludes. In 2006 West Virginia schools started a project that used the dancing video game Dance Dance Revolution (Konami) to encourage physical activity. This state, which is among the top three for worst obesity problems, planned to install the video game as a complement to physical education and health class in order to attract those students who weren’t fond of sports. According to The New York Times, kids were more excited to play Dance Dance Revolution than basketball and felt less pressure because the students didn’t get as competitive as in other sports. Ludwig van Beethoven once said that “music is a higher revelation than all wisdom and philosophy”, and he wasn’t wrong. 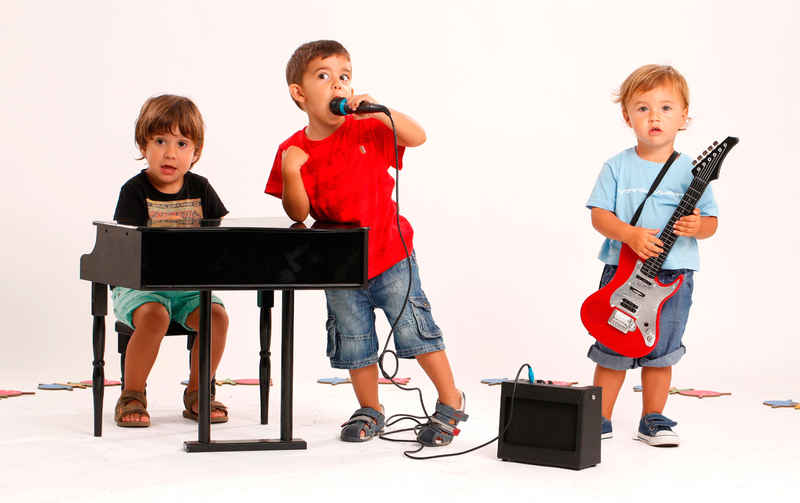 According to a research presented by the neurobiologist Nina Kraus at the American Psychological Association a musical training “can help disadvantaged children strengthen their reading and language skills”, as well as it allows kids “to focus better in the classroom and improve their communication skills”. The Journal of Educational Psychology also published a study by researcher E. Glenn Schellenberg that proved organized music lessons “benefit children's IQ and academic performance”. Pasinski also underlined on her study that “trained musicians have shown better and more rapid learning and discrimination of syllables and words – even if the musical training was restricted to childhood and practice had lapsed, as well as improved language-learning ability and expanded vocabulary as measured by increased verbal memory”. Video games and how they influence children have also been studied; a review of research in American Psychologist concluded that “playing video games, including violent shooter games, may boost children's learning, health and social skills”. The BBC published in 2015 an article explaining the changes that video games make to your brain. Visual abilities, brain growth and avoiding mental decline were the main benefits mentioned. Combining music and video games seems like quite a good idea in order to improve the cognitive and intellectual development of our new generations. So why don’t you start right now? Try to play to Piano Online with your children and just watch how they slowly start improving their mental abilities.